Sometimes, it can be difficult to peg down the good characteristics of a best friend. Friendship isn't always easy and sometimes the best thing one friend can do for another is an unpopular decision. Other times, a good friend seems to be anyone who is fun. 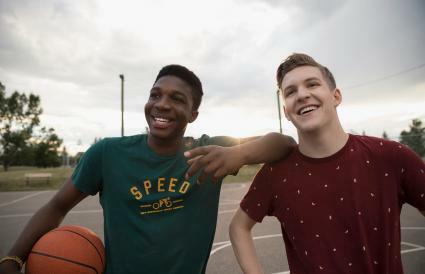 While friendship might not be simple, there are a few traits of a good friend that every teen should keep in mind. Does Sagittarius Make a Good Friend? Whether it is your secret crush or a problem you have at school or home, everyone has secrets. You need to be able to trust that your secrets are going to stay just that: secrets. A good friend is someone that you tell your innermost secrets to. They will keep their lips zipped unless it is a secret that could be dangerous to you. Honesty is important in a friendship. You need someone to tell you when your outfit looks horrible or a behavior is dangerous. A good friend will be like that nagging angel on your shoulder. They will tell you the truth even if it might hurt your feelings a little. They will be honest about their feelings and meet your honesty with understanding. They will also share their life and secrets with you as well. Good friends like to be around you. They want to listen to what you have to say and understand what you are feeling. If you say you are sad, a good friend will be the first one to hug you and empathize with whatever is making you sad. If you broke up with your boyfriend, they will help you to deal with the heartache and move on. They also work to compromise if you have a fight. It is hard to be friends with someone that you have no common interests with. Those that have common interests like sports or art can make the best of friends. You will find them fun and you will have things that you can do together. These common interests should be positive, like hobbies or bands, and not destructive, like breaking the law or using drugs. Everyone fears making mistakes, especially in high school, but the best friends help you to overcome your mistakes. They stick with you through thick and thin. No matter what happens in life (divorce, detention, bad grades, etc. ), a good friend will be by your side helping you through the challenges. Whether they are hugging you, teasing you to make a smile or buying your favorite chips, a caring friend is worried about your state of mind and wants to help you to overcome and smile. These individuals care about what makes you sad and work to cheer you up. Your health and well being is of uttermost importance to them. You need someone to listen to you when you are having a bad day or you were reprimanded. Good friends are always ready to lend an ear. They sympathize with the injustices of the world and celebrate your triumphs. An ability to accept your differences and how you might differ from someone is pivotal to friendship. Good friends don't judge you, but help you to overcome mistakes. If you make a bad decision or get a bad grade, they don't allow you to dwell on your shortcomings but push you to be better. Support is essential to good relationships. You need friends that will support you in your positive endeavors and help you get through pitfalls. For example, if your parents divorce, a good friend will help you to work through your emotions and hurt. It is great to have a friend that can help you to see the humor in every situation. Someone who is ready to make you laugh and have an impromptu food fight could be just what you need in a time of crisis. This can help you from taking life too seriously. Forgiveness is essential. Not only do you need to forgive, but you need friends that can forgive as well. Everyone makes mistakes but being able to move past them and not hold a grudge is a sign of a great friend. Friends help each other. Whether you are helping with the dishes or working together on a school project, good friends are willing to pull an all-nighter. They will donate their time and effort because it is important to you. They might help you with homework to improve your grade or maybe even build a float. In high school, friends matter a lot. It seems like the best friends are the ones who are always interested in having a good time. However, that's not all that friendship is about. Sometimes a friend has to make difficult choices, such as taking the car keys from a friend who has been drinking and plans on driving. It can also be difficult to be someone's friend when he or she is going through a hard time (such as a death in the family) and a good friend doesn't know exactly what he or she should do. Friendships can also go through rough patches. Fights, falling outs, and jealousy can all make a seemingly great friendship seem like it is over. Boys or girls can complicate the picture even more at times. For example, a friendship can be strained when one friend gets a boyfriend and starts spending all of her time with him, rather than with friends. Friendship can also be the brightest part of one's life. Having someone that you get along with and have similar interests with can fill the day. A friend who will go to the movies with you or come over to talk can be exciting. 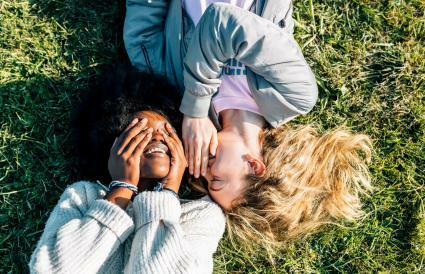 For teen girls, it can be great to have a friend to talk to about boys or do each other's makeup. For teen boys, it can be exciting to have a friend come over to watch the big game or work on the car with. Friends can also provide fulfillment on a deeper level. Connecting with another human on a personal level can make a person happier overall. While there are certain characteristics that can make for the best relationships, a good friend for you might be different than a good friend for someone else. You might need a hugger while someone else needs to be teased and made to laugh. And that is perfectly okay. 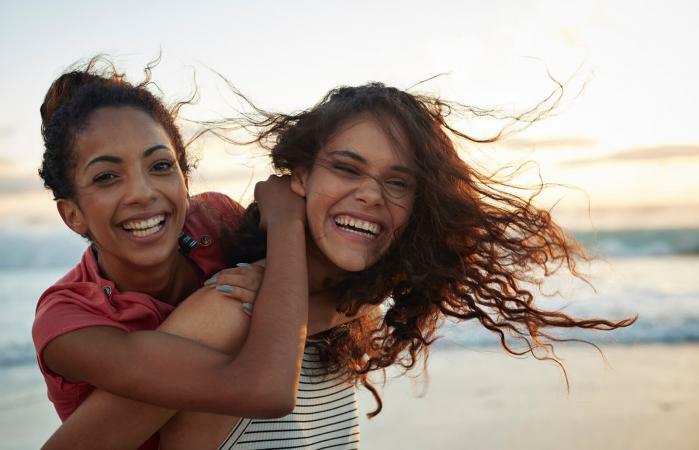 These characteristics are a starting point to finding the perfect friend that fits you.